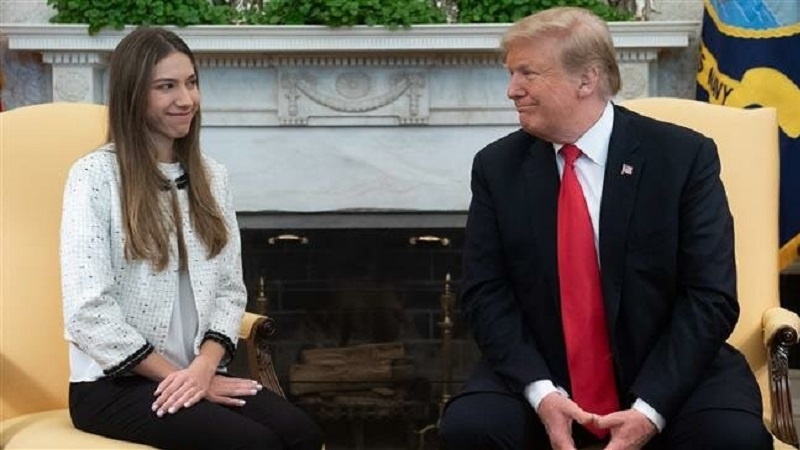 US President Donald Trump has met with the wife of Venezuela’s opposition leader Juan Guaido. According to Press TV, Fabiana Rosales sat down with the president at the Oval Office of the White House on Wednesday. Trump, for his part, pointed the finger at Moscow during the meeting, warning “Russia has to get out,” of the crisis-hit Venezuela. The president was referring to the arrival of two Russian planes in Venezuela in recent days. Russia has confirmed and defended sending military experts to Venezuela, saying the dispatch is based on a military-technical cooperation agreement signed by the two countries in 2001. Russia vocally opposes US measures against Venezuela and accuses Washington of attempting to organize a coup there in violation of the United Nations Charter. The US has recognized Guaidó as the country’s legitimate leader, disregarding Venezuelan President Nicolás Maduro’s victory in the latest elections. In recent months, tensions have increased between Caracas and Washington and Maduro has been sanctioned by the US.